Clyde Tombaugh discovered a planet in 1930 – but what to call it? A schoolgirl in England had an idea . . .
For new parents, picking their baby’s name can be complicated. They peruse the family tree, leaf through piles of name books, ask friends and relatives; some even consider the trusty dartboard approach. So imagine how challenging it is to name a planet! 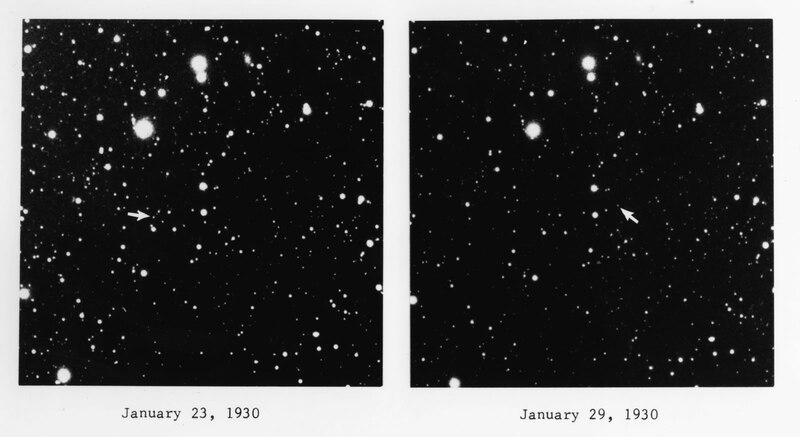 Astronomers faced that challenge in 1930. 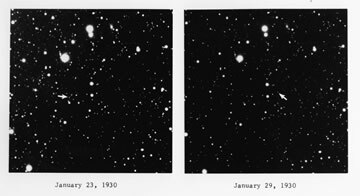 Clyde Tombaugh, working out of Lowell Observatory in Flagstaff, Arizona, had just discovered a whole world in the dark, cold outer reaches of our solar system. What should it be called? In Oxford, England, an 11-year-old schoolgirl named Venetia Burney learned of the newly discovered planet from her grandfather over the breakfast table. After a moment’s thought she suggested, “Why not call it Pluto?” Her grandfather took her suggestion to Oxford astronomy professor Herbert Hall Turner, a colleague, who cabled the idea to Lowell Observatory. Lowell liked the suggestion and the rest became history. 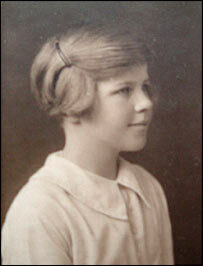 Venetia Burney at age 11, when she suggested the name "Pluto" for the newly discovered ninth planet in 1930. Now, 85 years later, NASA’s New Horizons spacecraft is about to visit the world famously named by young Venetia. Venetia’s naming nomination was apt because Pluto, the Roman god of the underworld, ruled over the cold, dark realm of Hades. Moreover, the first two letters of the name Pluto, P and L, were the initials of Percival Lowell, the founder of Lowell Observatory, who initiated the search that led to Pluto’s discovery. As the New Horizons spacecraft speeds toward Pluto, new naming opportunities will arise if Pluto’s system of moons grows beyond the five discovered from Earth and Earth orbit, as cameras aboard New Horizons train their sights on the Pluto system.